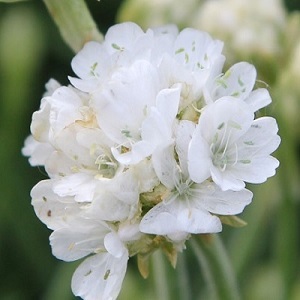 A white variety of Sea Thrift with pompom flowers from May to July/August. Plants form a neat mound of grass-like leaves,and grow to a height of 15-20cm. They look good in rock and gravel gardens, in pots and as edging. Sow in spring to autumn. Soak seeds for 2 days in hand-hot water, changing the water every 12 hours. Then sow in moist well drained seed compost and just cover with a layer of compost or vermiculite. 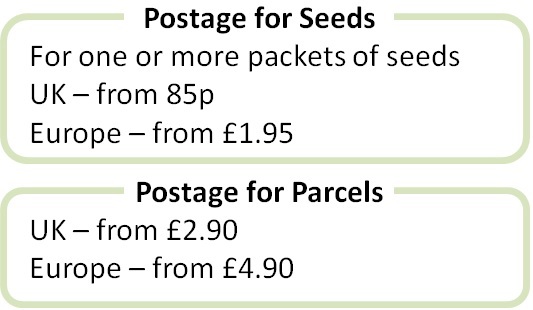 Keep at 18-20°C and germination takes 2-3 weeks. Pot up when seedlings are big enough to handle and grow on. Plant out in the garden after the last frost. These are evergreen plants and need little care once established. Deadhead to prolong flowers and remove older leaves as necessary.